President Trump and Veterans Affairs Secretary David Shulkin (above) have encouraged more VA whistle-blowers to come forward. Nursing home residents at the Bedford Veterans Affairs Medical Center can go many hours without food or languish in bed wearing only soiled sheets. The oldest buildings on the campus 25 miles north of Boston contain asbestos, exposing workers to potentially deadly fibers. At the William Jennings Bryan Dorn VA Medical Center in South Carolina, one doctor didn’t know how to give a spinal injection, and hospital leaders misled accreditors to win approval for their pain program. And at the Fayetteville VA Medical Center in North Carolina, operations had to be rescheduled because anesthetists didn’t give patients enough medicine to fall asleep. Some anesthetists didn’t know how to properly insert a breathing tube. All of these alleged lapses in patient care and dangerous conditions were identified by Veterans Administration employees, who have been turning against their employer in record numbers since a patient care scandal at the Phoenix VA in 2014 led to the resignation of the agency’s top official in Washington. Last year, VA employees filed nearly 2,000 complaints with the Office of Special Counsel, the federal agency that investigates employee concerns — more than the next four most-complained-about departments combined. VA employee complaints doubled from 2013 to 2016 and now account for at least one-third of the agency’s caseload even though they represent only about 18 percent of federal workers. Many say the surge in VA whistle-blowing reflects the national fallout from the Phoenix scandal, where employees were caught falsifying records to make it appear that patients were getting timely care. The VA’s own investigation eventually showed that 35 veterans had died awaiting care. VA Secretary Eric Shinseki resigned as it became clear that the delays in Phoenix were common at many of the VA’s 152 hospitals nationwide. And President Trump and Veterans Affairs Secretary David Shulkin have encouraged more VA whistle-blowers to come forward, creating a new Office of Accountability and Whistleblower Protection to address VA employees’ concerns and protect them from retaliation. “Our goal is to rebuild trust among employees and supervisors so that problems can be solved at the lowest level possible,” he added. On Monday, a congressional committee will hold a hearing in New Hampshire to explore allegations brought by 11 whistle-blowers who worked at the Manchester VA hospital (above). Congress, too, is lavishing attention on issues raised by the VA whistle-blowers. On Monday, a congressional committee will hold a hearing in New Hampshire to explore allegations brought by 11 whistle-blowers who worked at the Manchester VA Medical center. Their charges of substandard care — from flies in the operating room and stained surgical instruments, to veterans being permanently disabled through neglect — were described by the Globe Spotlight Team in July. “We know that far too many veterans face unacceptable hurdles when accessing VA care, and whistle-blowers play an important role in identifying areas where change is needed,” said US Representative Ann Kuster of New Hampshire, the ranking Democrat on the committee that will hold Monday’s hearing, in a prepared statement. But VA whistle-blowers remain skeptical that all the attention will translate into better health care for veterans in New Hampshire or anywhere else. Five witnesses are scheduled to testify before the House Veterans’ Affairs Oversight and Investigations subcommittee, but only one of them is a whistle-blower — Dr. Edward Kois, who identified more than 80 patients with debilitating but possibly preventable spine injuries from his work in the Manchester VA’s pain clinic. Three others are VA officials and the fifth leads a veterans’ advisory committee. Since the Globe story was published in July, whistle-blowers from New England and the rest of the country have come forward to report poor care or mismanagement that threatens the health of veterans at other VA facilities including ones in Maine, Rhode Island, North Carolina, South Carolina, Texas, and Utah. And at least one new whistle-blower has filed allegations against the Manchester VA, alleging that he has faced retaliation. Gary Von George, who was the business office manager and a 33-year VA employee, said he was transferred out of his department after he complained about wasteful practices that jeopardized patient care. He alleges that the VA has potentially wasted millions of dollars by sending veterans to private dentists for excessive services, such as a full set of dental implants for a 90-year-old veteran. Whistle-blowers at other hospitals who contacted the Globe said they, too, have faced ostracism at work or been forced out altogether for raising health and safety issues. Take the case of Jeffrey Katz, an anesthesiologist, who joined the VA in 2015 after the Phoenix scandal. He was inspired by his father, a World War II veteran. He became chief of the pain service at the William Jennings Bryan Dorn VA Medical Center in Columbia, S.C., a facility that had been identified as having one of the longest wait times of any VA in the country. In the two years he worked there, he said, he reduced wait times, helped the pain program win reaccreditation, and set safety and quality control standards. But, he said, he also identified a doctor who was incorrectly performing sensitive spine, back, and joint injections. And he discovered that officials had won accreditation for the pain program by promising they could provide housing for patients who lived too far from the hospital to participate in a daily pain program. The hospital had no such housing available, Katz said. Instead of being thanked for trying to improve the facility, he said, he was warned to stop finding problems. When he refused, he was removed from his position. Even though a special panel of doctors urged officials to reinstate him, he said, he was fired. “Corrupt facility leaders can readily harass and fire capable, highly qualified physicians who are whistle-blowers, as happened at the South Carolina center,” wrote Katz, an affiliate professor of neurology at the University of South Carolina School of Medicine. Cashour, Shulkin’s spokesman, said he couldn’t comment on Katz’s or other whistle-blowers’ specific allegations without their written consent. But he said that if any of them feel they have been retaliated against, they should contact the new Office of Accountability and Whistleblower Protection. “Whistle-blower retaliation is not tolerated at VA, period,” he wrote. Ronald Barrette, a former surgeon at the Fayetteville VA Medical Center in North Carolina, said he was “targeted” and then fired four days before the end of his two-year probationary period after raising a number of concerns in 2013, including issues with the hospital’s anesthetists, who are not medical doctors. Patients, he alleged, sometimes received inadequate anesthesia for surgery, and on one occasion, the anesthetist left a sedated patient early to feed her dogs, so she was not present when the patient’s blood pressure plummeted dangerously. Barrette, then acting chief of surgery, said he repeatedly reported his concerns to his boss, who did nothing. Instead, administrators began second-guessing his work. Robert Digregorio, an electrician at the Bedford VA, said he has “been through hell” since he complained about asbestos, which is embedded in the walls, ceilings, and floors of many buildings of the suburban campus. “I’ve had a target on my back since I started this,” said Digregorio, who said his confidential medical information was disclosed to his supervisors. His complaints to the Office of Special Counsel prompted the VA to investigate, but the agency found that employees’ health was not being endangered, and officials were working to remove it. Digregorio vowed to keep fighting and has filed several new complaints with other federal agencies. Some whistle-blowers who raised concerns about the nursing home care at the Bedford VA were so afraid of retaliation that they declined to talk to the Globe. However, an independent report on the nursing home supported some of their allegations of substandard care: Outside reviewers from the Long Term Care Institute in April saw one veteran lying in a bed covered only by a urine- and feces-stained sheet. They witnessed another veteran struggling to eat, using his hands to shove food in his mouth after trying unsuccessfully to maneuver food onto a spoon. 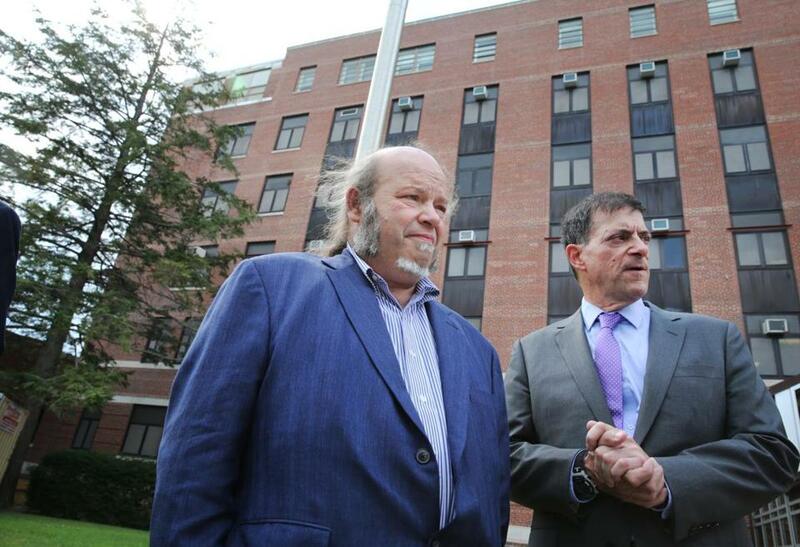 Dr. Edward Kois (left) and Stewart Levinson drew attention to problems at Manchester’s VA hospital. 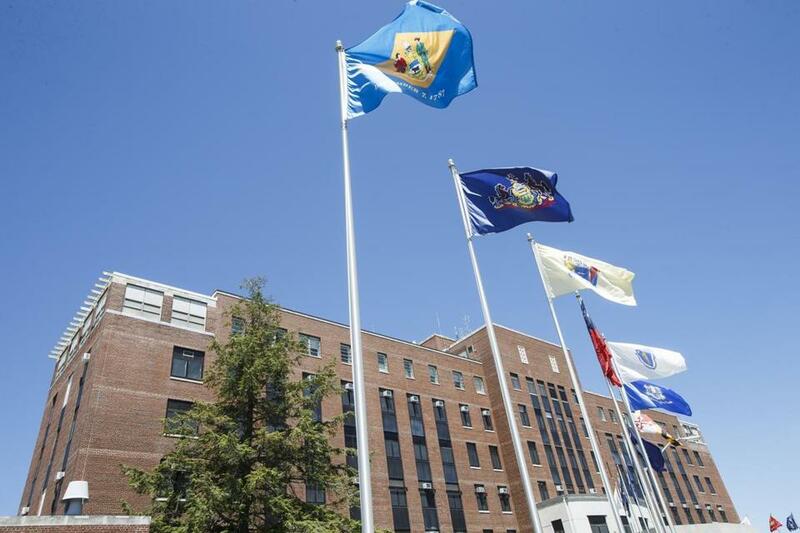 VA Secretary Shulkin immediately removed the Manchester hospital’s top three administrators after the Spotlight report and directed both attention and resources to the facility. The acting medical center director, Alfred A. Montoya Jr., said he’s listening to the whistle-blowers — and everyone else in the Manchester community — and has already launched a number of initiatives that will help Manchester become what it should be: a first-class medical facility for veterans. With the infusion of $5 million, said Montoya, he’s begun recruiting for key positions and has reached agreements with area hospitals to take Manchester patients when his hospital cannot. He’s also created a new office to cut down the wait for care, which has stretched on for months in a program known as Vets Choice. Montoya said veterans now wait no more than three days to get an appointment scheduled. But most of the whistle-blowers say that conditions at New Hampshire’s only veterans hospital have actually gotten worse in recent months, in part because allies of the dismissed administrators are still running the hospital. “Dr. 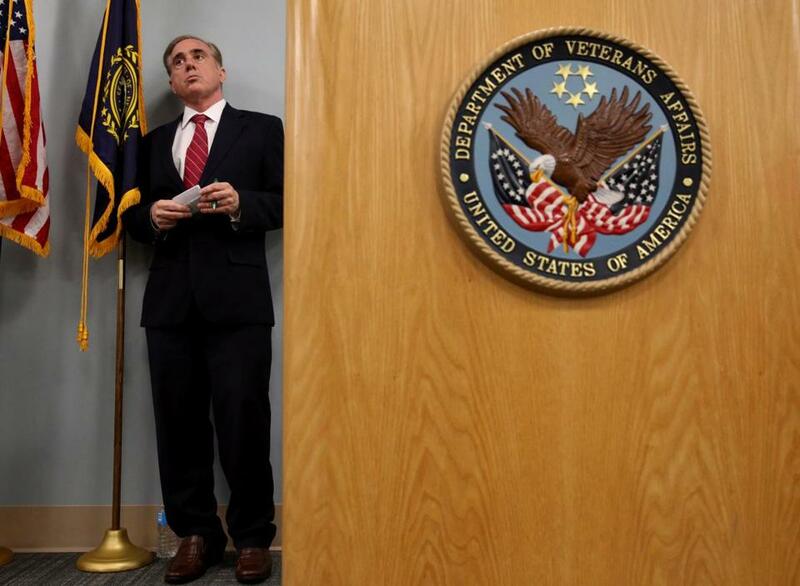 Shulkin promised the doctors he would give them more control and more say in decision-making at the facility,” said Andrea Amodeo-Vickery, a lawyer who represents 12 current and former Manchester VA whistle-blowers. Instead, she said, administrators continue to ignore the doctors. And the whistle-blowers point out that, despite his recent dismissal from Manchester, Dr. James Schlosser was recently a finalist for a new position at the hospital — head of the Office of Community Care. 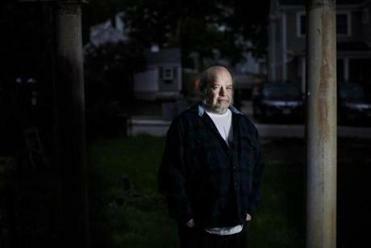 “It amazes me how little has changed,” said Levenson.